Ohhhh - I have just had an incredible two weeks of vacationing right where I live (which just so happens to be the same spot where half the world chooses to vacation at least 1 time in their life as well...whoa is me). Worked. yes, I got wrangled into working my first day off. So I am taking an extra day next Monday. 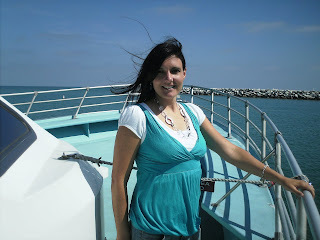 Katherin and I went to Catalina Island and celebrated our 10th Wedding anniversay. It was so much fun. Catalina is where we spent our Honeymoon, and we decided it would be fun to go back again. 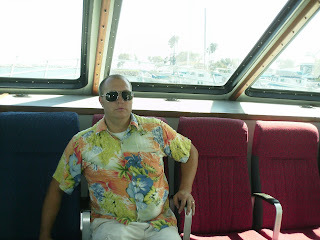 We took the boat across from Dana Point in the afternoon. After we checked in to our hotel, we took a bike ride to the Wrigley Conservatory. Didn't actually go in because, well, I am honestly not into plants and neither is Katherin. We just wanted a good bike ride. We took our own bikes up this time. It is so much better than renting the bikes. Saves a ton of money, and you can ride in the early morning and evenings when the rental places are not open. The next day we took a trip to the other side of the island did a kayak tour where there are actually waves and you can surf on them. We also saw a group (pod, family, school, den, pack, herd) of dolphins. They werent too far away. As we tried to approach them we quickly realized that they swim a whole lot faster than we kayaked. Pointless effort - but fun. We also spent a great deal of time snorkeling at lovers cove and the divers beach. Both are great spots. Unfortunately, lovers cove has a lot of people and not really good for lovers wanting to be lovers. We ended the three day trip relaxing on the beach and shopping. 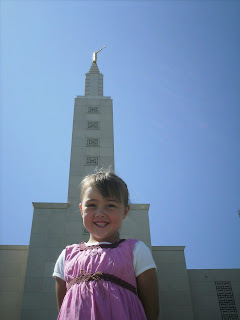 Went to L.A. Temple and then a Dodger Game. 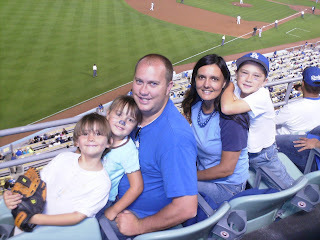 On the first Saturday we decided to go to LA and go to the temple and then see a Dodger game. It was great. 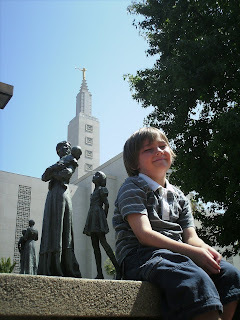 The LA temple is an awesome one to take kids to. They have an awesome visitors center, huge grounds and the kids dont easily get bored. Kat and I took turns doing initiatory work. When we were done there, we headed off to the hills where the Dodgers play. That night they were playing Washington. It was a fun game. The Dodgers had a shut out and a couple of homers. Unfortunately I ate one to many Dodger Dogs and my body decided to boycott normality the next day. Went to Boy Scout Camp for two days. Not going to write to much here. Mainly I am glad I didnt see a bear. The camp we went to is notorious for its bears. One year not to long ago a kid decided to sleep with food right beside his head. As the bear clawed away at the food, he took the kids scalp with him. He got airlifted out of camp. Thats probably the worst that has ever happened there. But why challenge that recored right? I pretty much went this year to help out the Scout master. It was his first year and my third. So with the little I know about scout camps, I was actually able to help someone this year get their feet wet. Knotts Berry Farm. So fun. I am a thrillseeker and I am totally stoked that Matthew is too. Because Katherin isnt. My favorite rides are Silver Bullet, Accelerator, Revolution, Boomerang, Perilous Plunge, Supreme Scream, Ghost Rider and of course the all time favorite - Montezuma's Revenge. The day was awesome until we got back to our car only to discover someone had broken in stolen Kats iPod, purse and all that goes with a purse . You know - ID, check book, debit card and our Frequent eater card to Golden spoon...we were one away from a free medium yogurt - I am so angry! Discovery Science Museum with Matt and Hallie. This is a cool place. Lots to do. Its a hands on science place where there are a ton of activities for the kids. We went in wind tunnels, earthquake simulators (like I needed that), 4D Dinosaur movie, making movies, Bob the builder exhibit, Grossology exhibit. Definitely will go back again. To cap off the vacation...I go into surgery tomorrow morning to fix my sleep apnea. Look for the report on that next week. 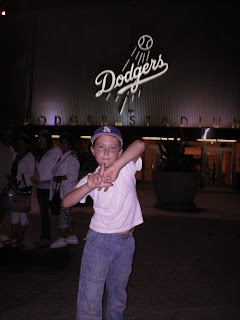 No, Matt is not a gang member - but I am still trying to figure out how he learned to spell LA with his hands like that. 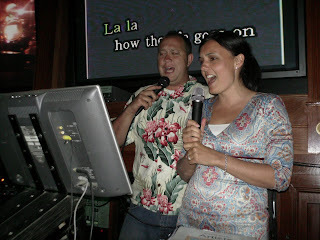 Me and Kat singing the Obla Di Obla da life goes on song in Catalina. More catalina pictures coming soon! Hallie is our hoola hoop champion...thanks to the Wii Fit! wow, sounds like so much fun! we were thinking about you guys last night at the ranger's game. Oh the days of old!! And Kat does look hot!! Looks like a blast! Congrats on 10 years, guys. Wow! Good luck with your surgery. I hope it goes alright. I didn't know you had sleep apnea that bites.I'd send you flowers as a get well thing, but I just found out I'm not allowed....Jumping to a new subject... I'm jealous of your fun trip. Joe and I are trying to think of somewhere fun to go next year for our decade. We'll have to get ideas from you guys.